F.I.T. 3.2 Treadmill is a residential treadmill, driven by a 2.0 Hp motor and have 15 preset programs to ease your workouts and burn your calories. The large LCD console displays your speed/ time / calories and distance. Elevation- Power elevation - 15 levels! Running Area– 1.3m x 45cm, 1.6mm thick walking mat – suits walkers/joggers, and is long lasting. ToughTrain 3.5 out of 5 Get the best out of your workout with this affordable quality treadmill. have above than average features and available in a descent price. *Note: Most of the sites, stores or shopping portals listed above sell Elite Fitness F.I.T. 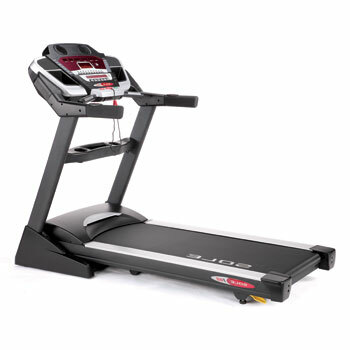 3.2 Treadmill with discounts and other exciting offers. There is a possibility that the some of above websites are not selling Elite Fitness F.I.T. 3.2 Treadmill now. Toughtrain.com is not liable for such cases or instances. Also we do not recommend any seller for Elite Fitness F.I.T. 3.2 Treadmill and a buyer should buy from where he/she gets best deal with quality of products, service and on time delivery (shipment).